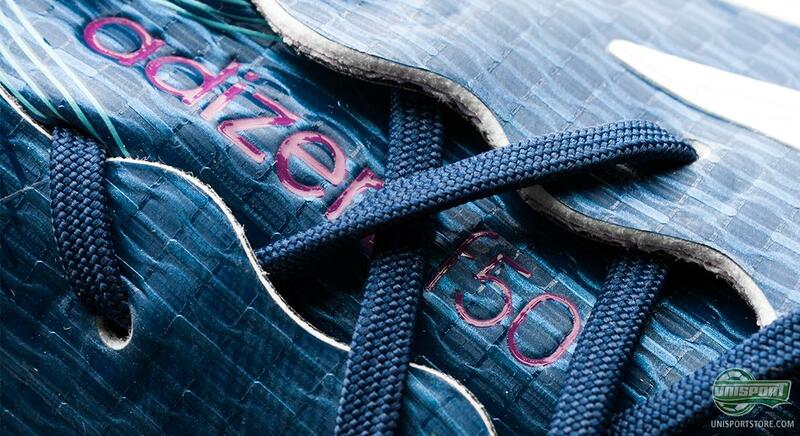 Yesterday we saw Adidas give us a little sneak-peak of the new colourway for the Adidas F50 Adizero in Blue/White/Purple  and now the Germans have officially launched the blue Adizero in both Microfibre and leather, which many of the biggest profiles around the world will be showing off on the pitch in the coming months. Today we have taken a look at the microfibre model, which you can read all about here. Adidas F50 Adizero is one of the most colourful boot silos out there, and the Germans have given us everything from fiery, in your face colourways, to the subtler, and more elegant colourways. 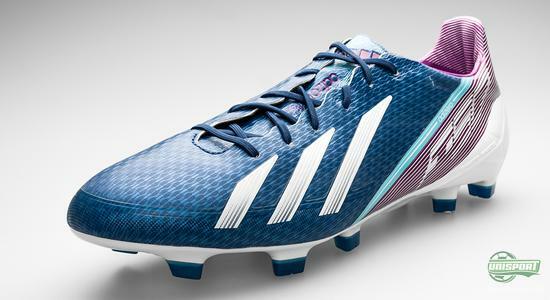 The latest colour combination from Adidas, Blue/Purple/White, brings the best of both worlds, and mixes the two elements into a boot that is sure to look amazing on the pitch. We have already seen Bastian Schweinsteiger wearing the boot  and therefore suspect, that he will be a central figure in the marketing the boot. The new Adizero is built up around a dark blue front foot, which is spiced up by the more eye-catching purple. The almost hypnotising dark blue nuances provide the sophisticated elegance, but thanks to the white sole, and purple Sprintweb-elements on the heel, the boot still has an overwhelming aura of flamboyance and cheek about it  an interesting mixture of colour indeed. 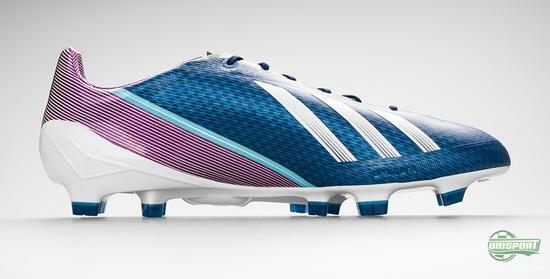 You can already pre-order the Adidas F50 Adizero with an expected delivery in the beginning of march  just 207. 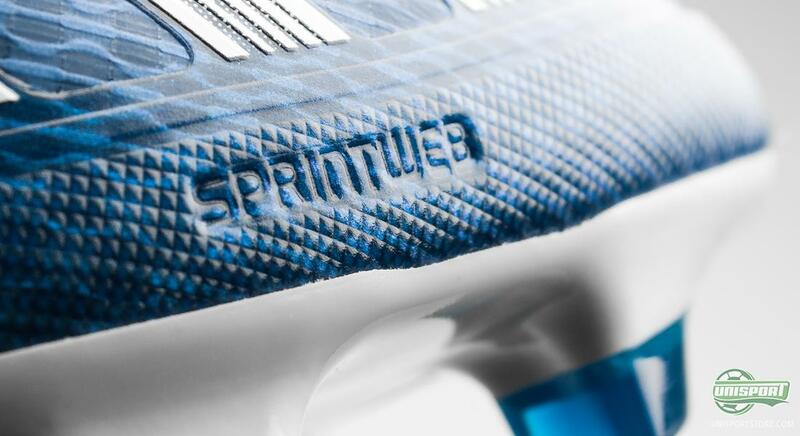 The Adizero made of microfibre is built up around three main elements: Sprintweb, Sprintskin, and Sprintframe, which each have an influence on the boots weight, stability and speed. 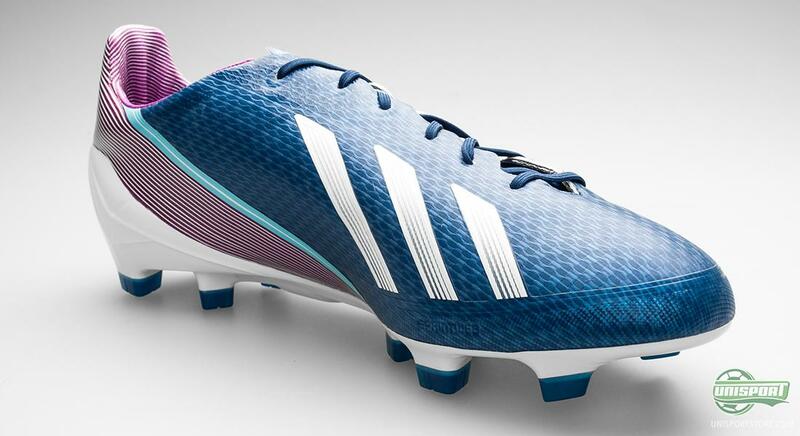 Adidas have focused on tweaking the boots technologies, so especially the Sprintweb, and Sprintskin has been optimised on the new boot. The boot clocks in with a weight of just 165 grams, and is therefore still one of the absolutely lightest boots on sale. It is important for Adidas to give us a real lightweight boot feel, and when they combine the impressive weight, with a super cool and minimalistic design, you are sure to get the awesome feeling of pure speed. One of the things Adidas changed on the fourth generation of Adizero, is the sprintweb-construction. It functions as a skeleton, so the boot can keep its shape, as well as, providing you with high levels of support and stability for your foot. The German brand also removed the wide Sprintweb-stripe, because they wished to make the upper more flexible, thus more responsive. 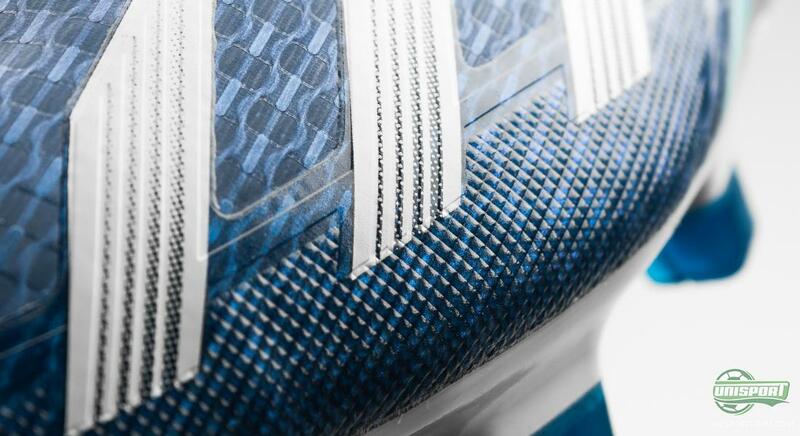 To avoid the boot getting too flimsy, following the removal of the sprintweb-stripe on the front foot, Adidas have fitted a large replacement Sprintweb-stripe on the heel, to make sure you don't loose the stability you know and love from the previous Adizero generations. 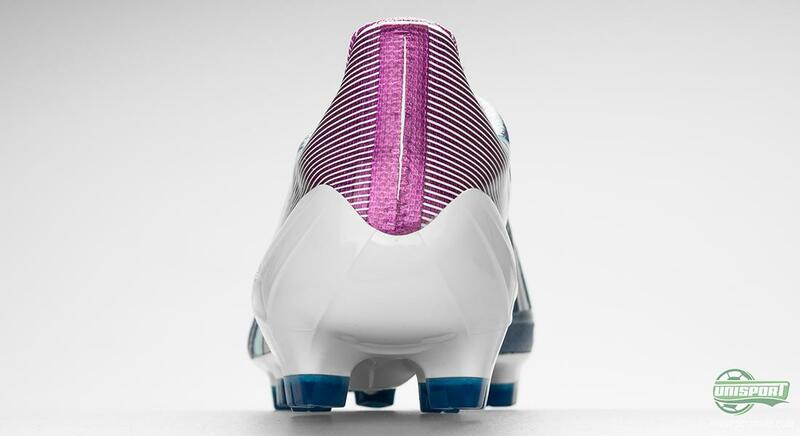 Furthermore, Adidas have chosen to keep a hold of the TPU bottom frame, as well as, the internal TPU support bands, which also serve to preserve the boots shape, and upper stability. 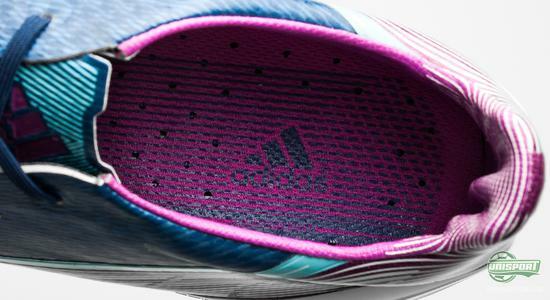 The synthetic microfibre upper on the Adizero is still called Sprintskin II, which is made from Adidas' microfibre material AdiLite Twin. This material is wafer thin, being just 1,5 thick, and it therefore makes for an ultra sharp touch on the ball. 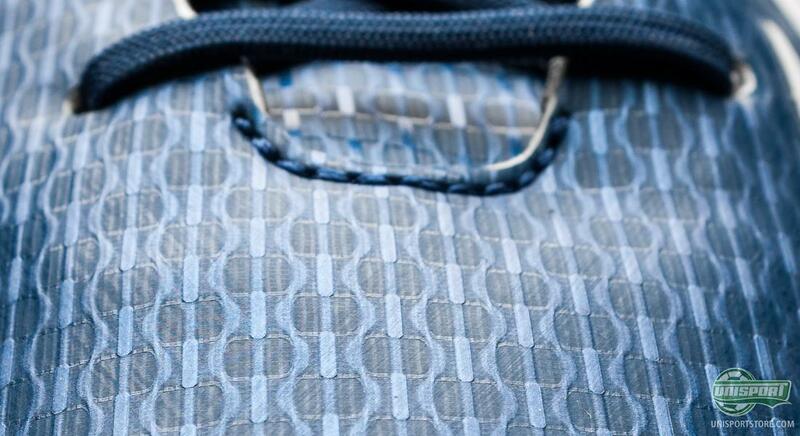 At the same time, the upper has had a special texture worked into it, so it is slightly adhesive, which gives you a better grip in the ball when you dribble. 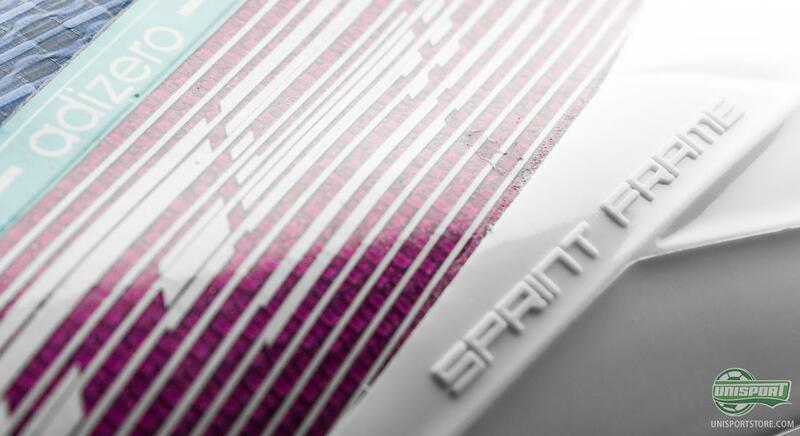 The Sprintframe 2.0-sole is one of the main reasons behind the Adizero's success  it is, in several places, no more than one millimetre thick, but thanks to the torsion bars under the mid-foot, the Sprintframe is still very stable and springy. The Adizero's studs are built up in sets, and all serve to improve various aspects of your play, like acceleration, sideways running, and stability. 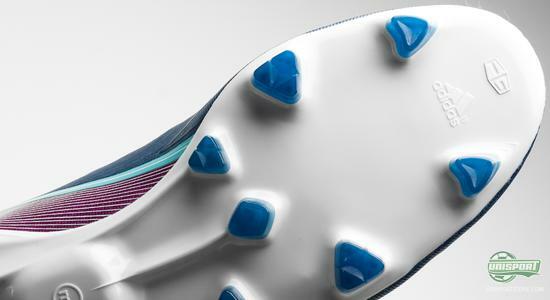 Adizero Blue/White/Purple is naturally also MiCoach compatible, which means that you can put your MiCoach-chip in, and collect data about your movement on the pitch. 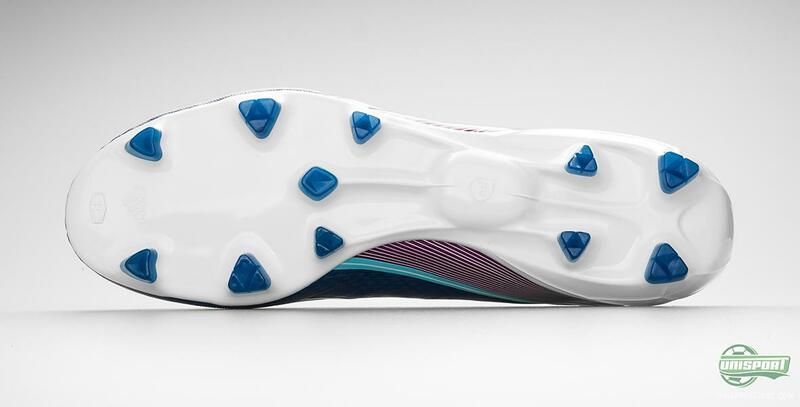 The chip can be placed in the sole of the boot, and can from here track just how fast you are, and how far you run in the course of a game, or training session. Adidas are very fond of launching noticeable colourways, and we are in no doubt that the Blue/White/Purple Adizero will be a hit with many, because of its elegant, yet flamboyant look. Does the boot appeal to you, as much as it does to us, or do you prefer the other colours? Share your thoughts in the box down below.